Wet, rainy, muddy, and COLD!!! I thought it was June but today I saw snow. Crazy! Today was a bad day for an outside wedding but the show must go on and go on it did. Not only did it go on but it was beautiful and a ton of fun! The last couple of days were encouraging for many different reasons but the big one for me is how well Makenzie really is doing. She may not be walking, sitting, of talking but she loves people, she enjoyed playing with the other kids, She can now handle all day outings in a loud and busy enviornment and again we got out to the country, in the car, with nothing but smiles and a head that stayed up the whole time. A year ago none of this would have happened. A year ago was before we did stem cells for the first time. Do you get where I am going with this. 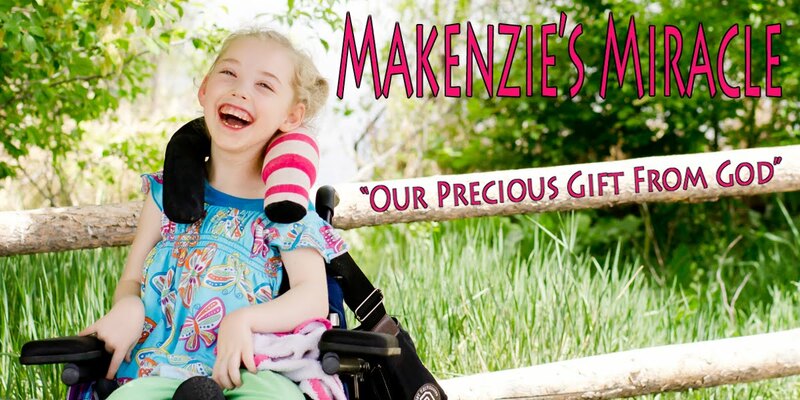 In my opinion stem cells is the best thing we have done for Makenzie to date.... other then love her to death! LOL!! There were also lots of kids there. Tiny babies. toddlers, and of course tons of big kids, What I learned about myself this weekend is that I too am healing. The sting of seeing other little girls about Makenzie's age running and playing will never go away but it is much less lately. Today was proof. The site of cute little girls in their pretty dresses hurt for about a minute and then it was gone and did not return. I will always fight for healing over Makenzie. I will NEVER stop believing for one second that God can restore Makenzie in the blink of an eye but I love my princess so much and she is so perfect in my eyes. The act of being at peace is amazing. Taking a break from non traditional therapy and just living life has been wonderful in many ways. I know the break will not, nor should not last forever but it has been good. So this weekend has been busy but AMAZING! I am so proud to be where I am, to have the people in my life that I do, and to be a mommy to 4 GREAT kids! I don't think I could ask for anything more! God is so good!